Soldier, grain dealer, MLA (1880-1883), MLA (1888-1892), MLA (1892-1895), MLA (1896-1899), Lieutenant-Governor of Manitoba (1900-1911). Born at Whitby, Ontario on 14 January 1846, son of James and Eleanor McMillan, brother of William Wallace McMillan, he was educated at Whitby and Collingwood, Ontario. He came west with the Wolseley Expedition in 1870 as Captain of a Company. He remained active in military affairs, served as a Major in the 1885 North West Rebellion and he was commanding officer of the 95th Manitoba Grenadiers (1887-1892). 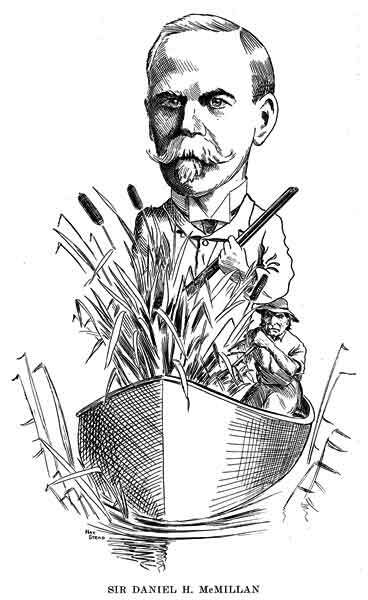 Entering the grain business, he founded the first steam-powered flour mill in the city. 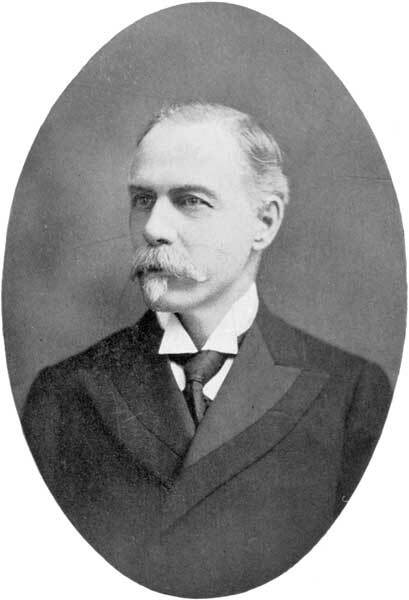 He later served as the first President of the Winnipeg Grain Exchange, Director and Vice-President of the Great-West Life Assurance Company, and President of the Northern Crown Bank (1911). In 1910 he was listed by the Winnipeg Telegram as one of Winnipeg’s 19 millionaires. In 1879, he ran unsuccessfully for a seat in the Manitoba Legislature but was elected in a 1880 by-election to replace Thomas Scott, and in the 1888 general election, representing Winnipeg Centre. He was re-elected or acclaimed in 1889, 1892, 1896, and 1899. While a member of the Greenway government he served as Provincial Treasurer (1889-1900) then was Lieutenant Governor of Manitoba (1900-1911). In 1877, he married Mary Esther Lindsay (c1862-1923) of Collingwood and they subsequently had one daughter, Eleanor Isabel McMillan (1879-?, wife of Leigh M. McCarthy). He was a member of the St. Andrew’s Society of Winnipeg (President, 1899-1900) and the Manitoba Club, and a founding member, in 1905, of the St. Charles Country Club. The University of Manitoba awarded him an honorary doctorate in 1911. He lived at 645 Wellington Crescent from 1911 to his death on 14 April 1933. He was buried in the Elmwood Cemetery. There are papers at the Archives of Manitoba. He is commemorated by McMillan Avenue in Winnipeg. This book contains biographies ofsome prominent Manitobans in the early 20th century. It was written by Dr. John H. O’Donnell, and published by the Musson Book Company at Toronto in 1909. Most of those featured in the book were living at that time, so no information on death dates was provided. Where possible, these have been added to this online version. Online version 2008, Manitoba Historical Society. Birth and death registrations, Manitoba Vital Statistics. “Sir Daniel McMillan, colorful figure in pioneer west, passes,” Winnipeg Tribune, 15 April 1933, page 1. Crescentwood: A History by R. R. Rostecki, Crescentwood Home Owners Association, 1993. We thank Dennis Puranen for providing additional information used here.